You’ve been a teacher in both the tertiary and secondary systems, and you’re now a teacher of writing. What does the teaching of writing afford the teacher, as opposed to the students? Are there certain writing ‘lessons’ that only come to the surface through discussion and analysis of the craft in a controlled group setting? Teaching writing has helped make me aware of different ways of thinking about language, structure and voice in creating fiction. I continue to be humbled by the wonderfully imaginative responses of students to the writing exercises I give them; it reminds me that a good writer must continue to learn from others. Teaching writing has also reinforced my belief that memorable writing is the product of hard thinking about one’s creative choices. As an accomplished author in your own right, you’ve published three short story collections and are due to publish your novel in the next twelve months. What lesson would you pass on to writers about to submit their first full-length work to publishers for consideration? I have several pieces of advice for aspiring writers, all of which I wish I’d taken earlier in my writing career. Firstly, read your work aloud, in order to hear inadvertent repetitions, clunky sentences and the overall shape of the story. Secondly, let your manuscript ‘sit’ for at least a month after you think you’ve completed it; you’ll always find ways to improve it. Thirdly, show your manuscript to a couple of trusted readers – people who read widely, often and astutely, and who are prepared to give you constructive criticism. More than a couple of responses can be overwhelming, and not necessarily useful. And then once you’ve sent your work into the world, try to be patient: it can take months for a publisher to reply. What qualities do you look for when considering potential manuscripts for Margaret River Press’ publishing program? The most important aspect of a manuscript for me is, quite simply, the quality of the writing. Regardless of the subject matter, plot or genre, the writer’s use of language must be intelligent, subtle and rhythmically deft. I also want works with characters who are psychologically and morally complex. I look for writing that doesn’t preach to or patronise the reader, that instead raises important questions about this vexatious and unruly thing we call ‘life.’ And while I don’t look for originality – since it’s both extremely rare and not necessarily a virtue – I admire works which are distinctive; which through the quality of their writing and the intelligence of their insights stand out from the merely competent or predictable. It’s the difference between say, a pop culture romance and a Jane Austen novel. Finally, I look for a manuscript’s potential; a manuscript might need some work, both stylistically and structurally, but if the writing is fundamentally sound, the board might suggest some re-writing before re-considering the manuscript. In the age of social media, the fundamentals of writing can get lost amongst the need (be that perceived or real) for a writer to be visible, relevant, and prominent. Do such things come into consideration when assessing the viability of a debut author for Margaret River Press? In a word: no. Of course the board of Margaret River Press takes marketability into account, and it works hard to promote its writers, but we don’t expect them to be entertainers or social media gurus. What matters is the work. Ray Bradbury once wrote that “You must stay drunk on writing so reality cannot destroy you.” How has this reality manifested in your own life and writing? What aspects of reality do you most rally against, and what keeps you going in spite of them? Taking the metaphor of drunkenness literally, I have learned not to write after more than two glasses of wine. She grew up in the Western Australian wheatbelt, and has lived in Perth for most of her adult life. 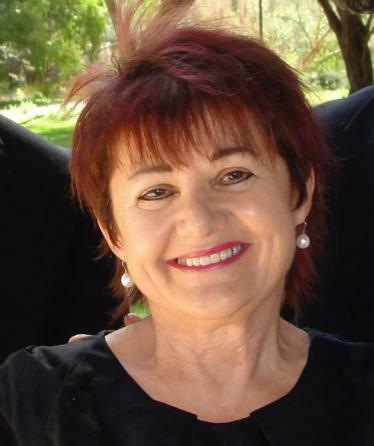 Her first short story collection, A History of the Beanbag and other stories, was shortlisted for the Western Australian Premier’s Book Awards in 2007, and her second collection, An Unknown Sky and other stories (2012), was shortlisted for the 2013 Queensland Literary Award (Steele Rudd Award). Her latest release is Feet to the Stars and other stories (2015), which was shortlisted for the 2016 WA Premier’s Book Awards. Susan studied at the University of Western Australia and Cambridge University and holds a PhD in contemporary Australian women’s fiction. She has also taught literature at secondary and tertiary levels over many years. She is currently a board member of WritingWA and volunteers teaching for a Maze of Story, an organisation that encourages creativity in socially disadvantaged primary school children. Susan’s novel The Art of Persuasion has recently been published by Fremantle Press.